The majority of cases in the world's largest outbreak of Ebola were caused by a tiny handful of patients, research suggests, BBC reports. The analysis, published in Proceedings of the National Academy of Sciences, shows nearly two thirds of cases (61%) were caused by 3% of infected people. The young and old were more likely to have been "super-spreaders". It is hoped understanding their role in spreading the infection will help contain the next outbreak. 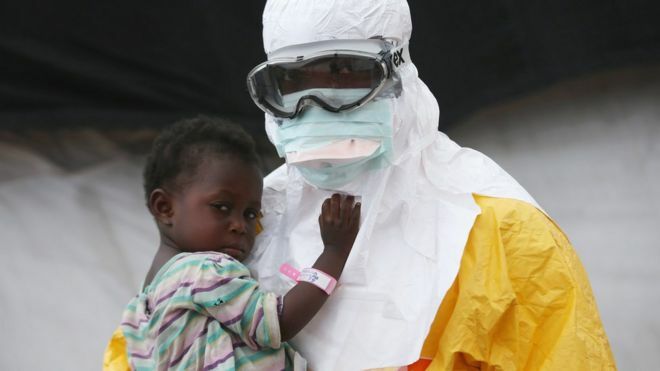 More than 28,600 people were infected with Ebola during the 2014-15 outbreak in west Africa and around 11,300 people died. The study looked at cases in and around the capital of Sierra Leone, Freetown. By looking at the pattern of where and when cases emerged, the researchers could tell how many people each infected person was passing the deadly virus onto. Prof Steven Riley, one of the researchers at Imperial College London, told the BBC News website: "Most cases had a relatively short infectious period and generated low numbers of secondary infections, whereas a small number had longer infectious periods and generated more infections. "The findings are likely an accurate description of what happened." Children under 15-years-old and adults over 45 were more likely to be spreading the virus. "My feeling is this may be explained by human behaviour," said Prof Riley. "It may not even be the cases, but the people around them. "I wonder whether it is to do with people coming to care for the young or old."